Fortunately, there are various ways that make it ridiculously easy to see what your competitors are up to and how can you replicate their success on your Facebook Ads. After all, learning from the FB ads of others helps you create profitable ads yourself! This article lists down all the tools out there that will help you spy on the ads your competitors are running. Note: If you read this post in the past, I’ve already updated the tools to feature the ones that are currently working. I’ll also be mentioning the tools that used to be available but are not anymore! Because of Facebook’s efforts to increase transparency, they released a tool called Info and Ads. While this tool was mainly created to show users the active ads that brands are running, this puts you at an advantage. Now, you can spy on competitors with a click of a button. 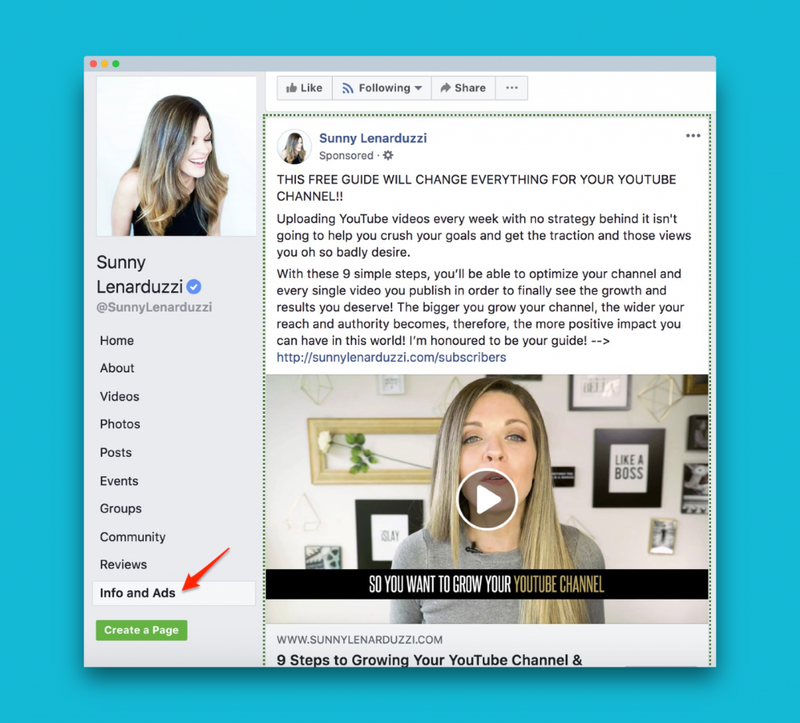 There’s no faster (and completely free) way to find out what makes their Facebook ads work. Just visit your competitor’s page to get started. Great for start-up businesses; gives them a leg up over the competition. Use geographical filters to check whether your competitor runs ads in your location and other locations. Competitors can also audit your ads. They can flag your ads as inappropriate for no reason. You won’t be able to see a specific ad’s likes, comments, and shares. Regardless of what industry you’re in, AdEspresso’s tool shows you other ads in the same space. Currently, they have 167,422 ads in store. 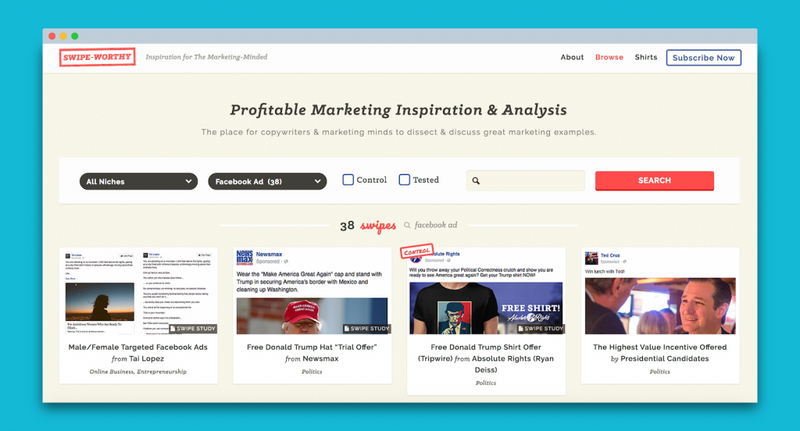 AdEspresso manually incorporates any FB ads they find. Over 25 industries to take inspiration from. Shows you the engagement for all ads. Filter the FB ads by placement, industry, objective, and attribute. You’ll need to disable AdBlock first in order for the ads to show. Free tools are awesome to find competitors facebook ads. However, they don’t give much insight and tend to lag behind on functionality. 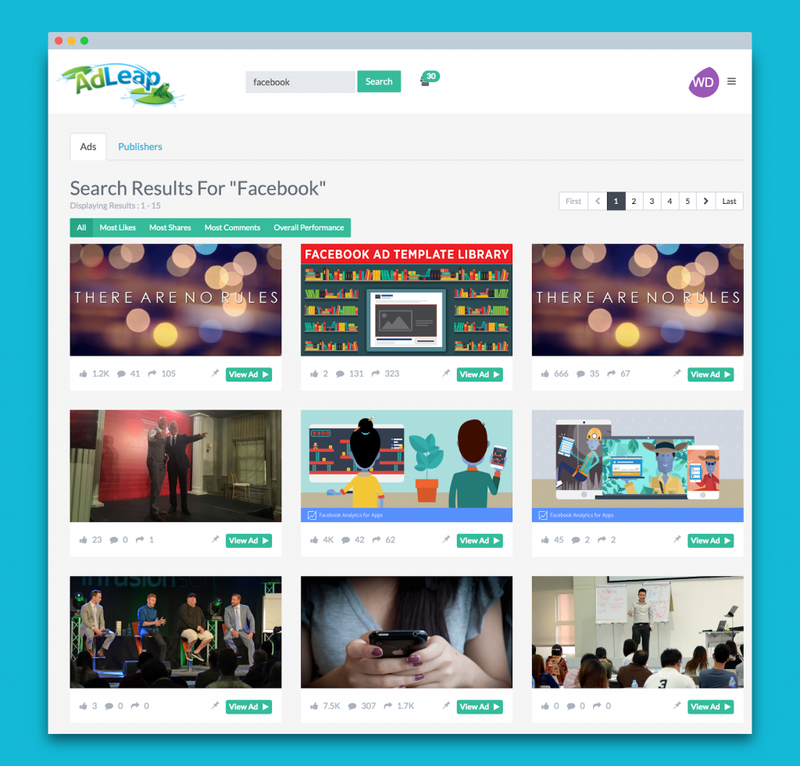 AdLeap Software is a great solution to discover ads that perform really well. And while it helps you create good Facebook ads, you can also leverage it to plan better products to sell online. Pin the ads you like and view them all in one place. View an ad completely, from the copy to the image to the engagement. AdLeap reveals the performance of an ad over time. Alerts when the brands you follow publish a new ad. AdSwiper promises to save you a lot of time and money usually spent on testing ads. What better way to do this by checking what works already? This tool comes in a free and paid version. The free option only shows competitor ads that are in your newsfeed. Search competitor ads using multiple filters – keywords, page name, word count, and more. Create a folder for your favorite ads. There aren’t a lot of ads to learn from for the free version. If you create copy or images for FB ads, you’ll need to rely on already-successful pieces out there. Every passionate creative keeps a swipe file. Don’t have one? Swipe.co has a great library of examples. To date, it has 481 ad inspirations categorized as Modern or Classic. Various niches to gather ideas from. Brief explanations to help you understand what makes an ad effective. You can request a specific ad if it’s unavailable in the current collection. There are only 4 actual Facebook ads. PowerAdSpy is a true Facebook ads spy tool. The reason I say this is that it allows you to see a competitor ad’s target audience age, interests, and geography. If you own a Shopify store and are interested to see what your Shopify competitors are up to, PowerAdSpy has a massive database. Over 6 million ads available from over 15 countries. Visit the actual live Facebook ad from PowerAdSpy’s dashboard. 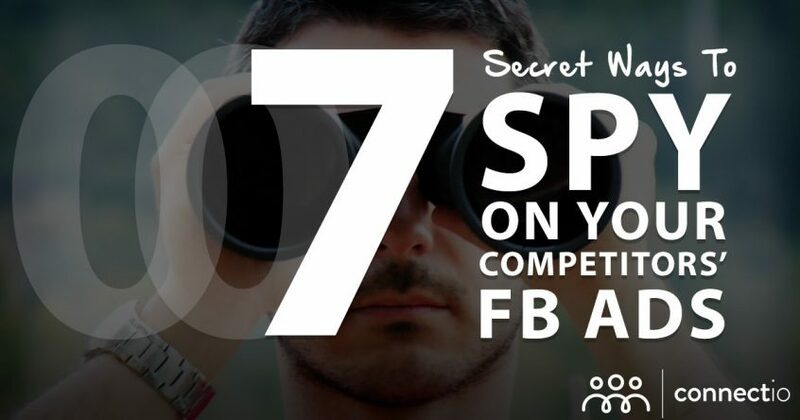 See competitors Facebook ads by keyword, advertiser, location, etc. The basic version has a lot of missing features. Adsova boasts of a huge database of over 500,000 ads. Now that gives you a competitive advantage because you know what other advertisers’ strengths are. Unfortunately, Adsova doesn’t offer a free version but all plans come with a $1 trial. Adsova updates its database with new ads each day. The database combines text and visual ads. No free demo to show you an overview of how the tool works. Addicted.io adds hundreds of new Facebook Ads on a daily basis. They provide one of the simplest way to review what type of ads their competitors are using. One subscribed (free subscription available) you can view thousands of ads with advanced filtering capabilities ( objective, type etc). Update: It seems that Adicted.io doesn’t exist anymore, unfortunately. We did find a good alternative, though: BigBigAds! 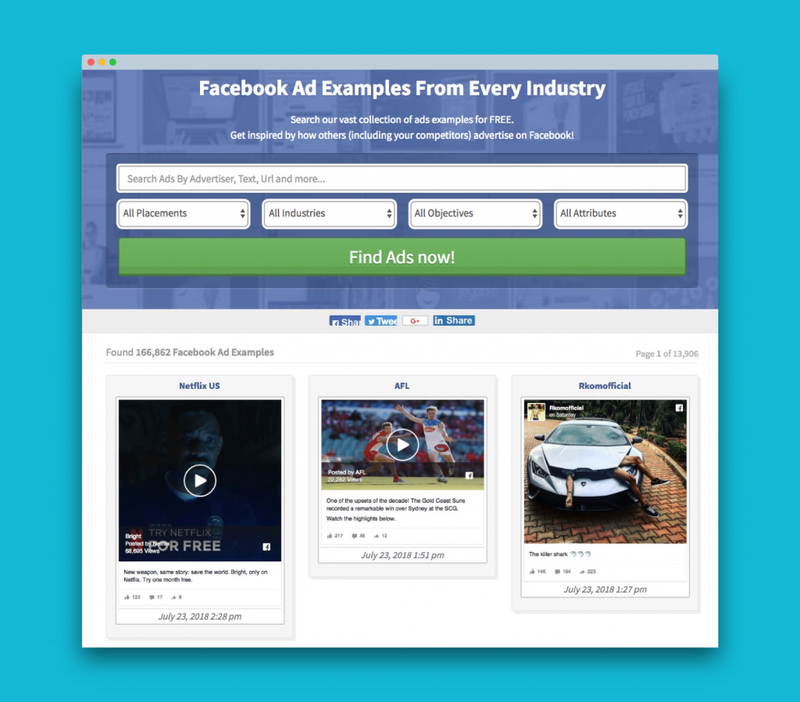 Adsviser enables you to search through their database of 225,694 Facebook Ads. There’s no demo available, unfortunately. AdFox has a mighty database of over 300,000 ads and growing, enabling you to find the Best Facebook Ads And Funnels In a matter of seconds! Compass is still in beta but they claim to let you find Facebook Ads as well, so we recommend to keep an eye out for this one! Social Ads tool doesn’t directly let you view ads from your competitors but rather let you modify delivery of your Facebook Ads based on your competitor’s spending behavior. Adsvantage enables you to tap into the ads and campaigns of your competitors. You can use it to uncover your competitors top performing Facebook Ads. So there you have it. 7 online tools and services that you can use to unveil Facebook Ads from virtually any business or niche. We picked two personal favorites – AdEspresso and AdLeap. 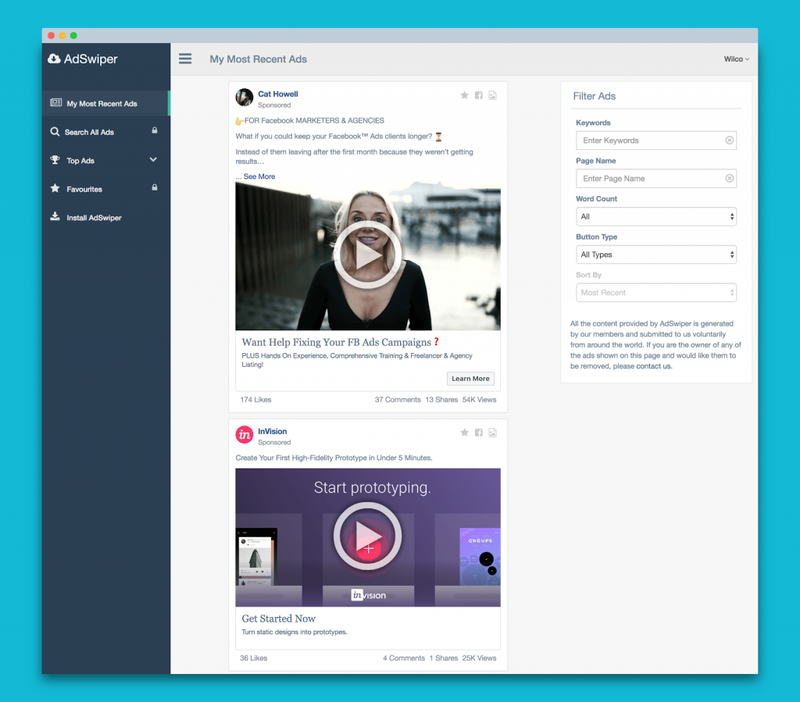 AdEspresso because it’s free, and AdLeap because of its clean layout and the ability to replicate competitor FB ads. If you think we have missed any, please feel free to add it in the comments below.